Clare was born into a poor farm labouring family at Helpston (now in Cambridgeshire) and suffered the privations of poverty that probably caused his short stature and recurring ill health. He became a farm labourer at the age of nine but received an elementary education at the local church school until the age of twelve. He took a succession of jobs as gardener, militia man and lime burner and married Martha ("Patty") Turner in 1820 who bore him seven children. 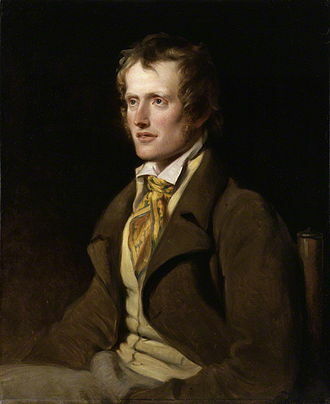 With the aid of a small annuity from his employer and subscriptions from well-wishers, he wrote poems on rural themes. His first volume was published in 1820 to great acclaim followed by a second volume the following year but initial enthusiasm quickly waned necessitating his return to labouring. His last volume was published in 1835 to only slightly recovered recognition. The burden of his large family merely increased his poverty and his health declined as he sank into alcoholism. In 1837 he sought refuge in an asylum in Essex where he became delusional often believing himself to be reincarnations of famous, deceased writers of the land. He discharged himself from the asylum in order to return home but, after several months, he was consigned in 1841, full of delusions, to the Northampton General Lunatic Asylum for the remainder of his life where, however, he was encouraged to continue writing. Clare accepted his lowly station in life without complaint becoming known as the Peasant Poet whose poetry was able more accurately than the more famous Romantics to depict the pastoral life that he observed in nature, wildlife and farming routine. His works became neglected after his death but saw a revival of interest in the twentieth century.